New ESPN column today — here’s the link. 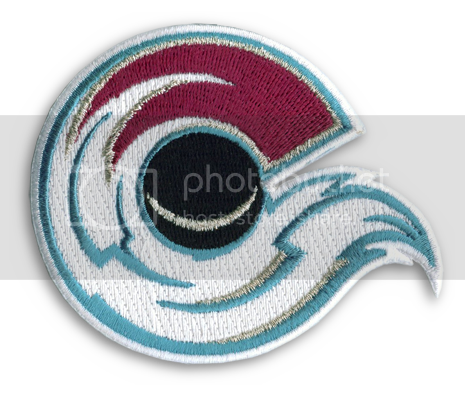 Leaving aside the question of why anyone would want a uniform swatch with a patch that wasn’t originally part of the uniform, this project interests me because I’ve been thinking a lot lately about the role of digital media in patch design. 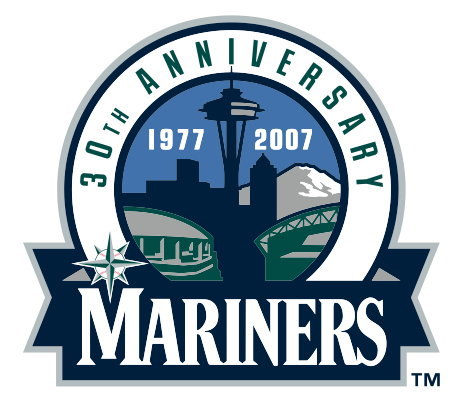 Take, for example, the 30th-anniversary patch that the Mariners will be wearing this season: It looks really great as digital art, but a lot of the detail (especially the two stadiums in the foreground) is lost in the embroidered version. Uni Watch: What sorts of things do you have to think about when designing a patch? Todd Radom: There are always going to be translations to be made between the art and the patch. You’re giving this piece of art to National Emblem, or whoever’s gonna embroider the thing, and the way they interpret it will determine what the final product looks like. UW: So how can you ensure that the interpretation will be, y’know, accurate? TR: One thing you always have to keep in mind is that Pantone flat colors do not seamlessly translate to thread colors. Also, I try to keep all of the line weights, if not necessarily simple, then practical. You want to have thick lines that will not disappear when they turn into thread. Also, I keep in mind that in a live environment, like if you go to a ballgame, these patches are tiny little things. UW: Yeah, but they’re more visible on TV. TR: And that was my next point. I think the ultimate determining factor is not how it feels in your hand or how it looks in person, but how it translates into broadcast. So you always have to think practically, and you have to think that when it gets translated into patch form, it’s going to take on some dimension that changes things. Now, I’m looking around my office here — you’ve been here, and as you’ll recall, I have a bunch of patches that I’ve created and I have them framed on the wall. And to me, some of them are just an absolute seamless transition from art to patch, and some are not. You constantly learn about the challenges of that transition. Also, keep in mind that, for the most part, sleeve patch designs are utilized in other applications — in print advertising, on little enamel pins, signage, whatever — so you need to think in a very versatile way. UW: Do you think the flexibility and “You can do anything” factor of digital illustration make it easy to get carried away with things that might not translate as well? TR: Absolutely. There has to be a certain amount of self-editing. UW: Did you design any patches in the pre-digital era? TR: That’s a good question. Hmmm — yes, I did. UW: And was that a different process, because you didn’t have the technical flexibility or the wide range of options offered by the computer? TR: Not really. Also, embroidery techniques have changed over the past 15 years, in lockstep with design capabilities. UW: You mean the creative side and the production side have both gotten more sophisticated at roughly the same rates? TR: Yeah, it’s sort of a parallel evolution. It’s worth noting, incidentally, that the translation from art to patch isn’t always a downgrade. Case in point: the patch that the Brewers will be wearing this season. The digital version looks nice enough, but the actual patch is much better, thanks to all the texture and depth provided by the embroidery. What We Have Here Is a Failure to Communicate: For reasons that we can’t quite figure out, I’m suddenly receiving a small avalanche of old e-mails, most of them dated in the March 5th-15th range. It’s not clear why I didn’t receive them when you originally sent them, but if you sent me a good photo contribution or asked a good question and I never wrote back or acknowledged your communiquÃ©, this is probably why. Now that I’m receiving them, I’ll try to deal with them as efficiently as I can. Uni Watch News Ticker: The No Mas blog has a nice little bit here about Antero Nittymaki’s mask. … As an aside, No Mas has become my favorite sports commentary on the web. The blog, most of it written by Dave “Large” Larzelere, just oozes intelligence, plus it’s funny, caustic, and has a voice that’s completely its own. There’s occasionally coverage of stuff I don’t care about, like pro wrestling, but whatever — the rest of the material is as sharp as anything in sports media today. Essential reading. Check it out here. … Amazing archival find by Larry Cauley, who was going through some old family photos and found this. Man, there are so many things to love about this shot — the noseguards, the stripes, the varsity sweaters, the pennants, the coach with the stopwatch. One for the ages! … Reprinted from yesterday’s comments: Good article here about Barry Zito’s glove, which might be ruled illegal because of the dark leather with contrasting white laces. … Are there any NHL players besides Ryan Smyth who wear blue blade holders? (Good catch by Matthew Guggenheimer.) … Remember Curtis Granderson’s “Don’t Think, Have Fun” underbill inscription from last year? He discusses it briefly in the third item of this Q&A page (with thanks to Laura Koenig). … Latest university to tell a high school team, “Hey, you kids, get off my lawn!”: Wyoming. … More news you may have missed from yesterday’s comments: The Tigers have a kid in camp who has an MLB logo tattoo. … And Tony LaRussa has a tattoo as well, which is sort of a frightening thought. … Score one for the anti-corporatization movement. … “Heres something odd (and, in my opinion, stupid),” writes Michael Alper. 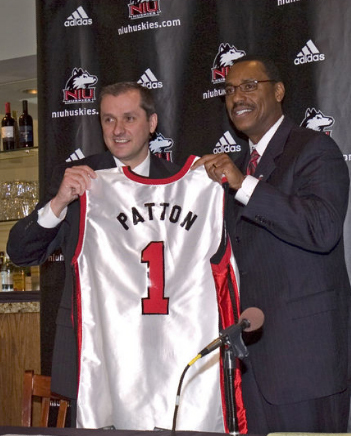 “Northern Illinois introduced a new men’s basketball head coach today. At the presser, they had him pose with a jersey. This coach never will wear a NIU jersey in a game. Lame.” … Good exhibit here on the history of ice skates and their impact on Canadian culture (with thanks to Stephen Tod). … Now that David Wells has been diagnosed with diabetes, will he end up wearing an insulin pump on his belt, like Jason Johnson? 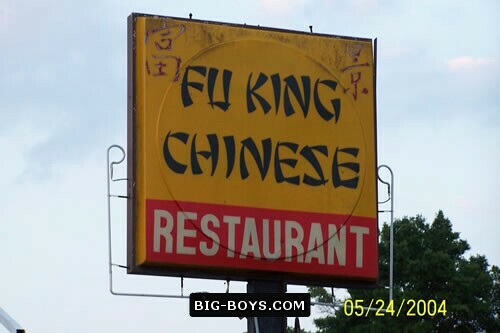 … At first I thought there was a missing letter, but it turns out that that’s the guy’s actual name (not unlike this). First Dolphin Stadium, now Rangers Ballpark in Arlington? Perhaps it’s the beginning of the end for stadium/arena naming deals? Paul, this probally is a little ocd, but you forgot the ‘E’ in the ryan smyth blue blade holder hyperlink…. other than that, love today’s colum, I am into patches, so ya hit a sweet spot. 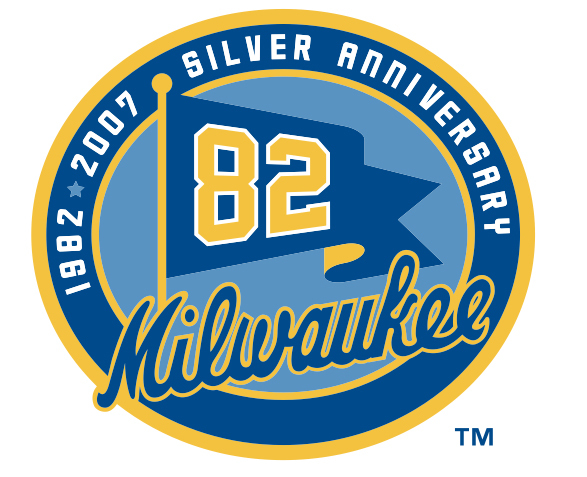 Why do the Brewers have a silver anniversary patch? To honour the fact that they won the AL pennant 25 years ago? I admit, not their funniest headline of all time. I wonder if there’s a Uni Watch reader among their writers? I am no doctor (and I don’t play one on television either) but I am pretty sure the insulin pump is only used in Type 1 diabetics and not Type 2, which is what Wells is. Doesn’t seem David Wells should or would wear a insulin pump if he has type 2 diabetes. Type 1 is treated with insulin replacement therapy Ã¢â‚¬” usually by injection or insulin pump Ã¢â‚¬” carbohydrate counting, and careful monitoring of blood glucose levels using Glucose meters. Type 2 is initially treated by adjustment in diet and exercise, and by weight loss, especially in obese patients. [quote comment=”61702″]I am no doctor (and I don’t play one on television either) but I am pretty sure the insulin pump is only used in Type 1 diabetics and not Type 2, which is what Wells is. ahh chad, you beat me to it.. poop. Devil Rays centerfielder Rocco Baldelli has a tattoo of the Major League Baseball emblem on his ankle. [quote comment=”61704″][quote comment=”61702″]I am no doctor (and I don’t play one on television either) but I am pretty sure the insulin pump is only used in Type 1 diabetics and not Type 2, which is what Wells is. football patches, column 4 row 7.
the bears patch is incorrect. True–type 2 diabetes is usually treated with pills (not insulin therapy), and, of course, recommended lifestyle changes. Alejandro De Aza should have the “e” written smaller on his jersey. It seems like that’s been becoming a lost art ever since the Cardinals called Mark McGwire “MC GWIRE”. That Lambeau Field looks a lot like this. With all the talk of the motion W, and logo infringement the last few days, has anyone looked into how much a logo has to be modified to be considered not a copy? Ryan Smyth is emulating his childhood idol, Wayne Gretzky. He wore blue blade holders when he played for the Oilers. Oh, and this might make you a little ill, Paul. Nike actually broke into the NHL by making jerseys for those same Oilers. You can see it here on the 1984-85 Andy Moog Oilers jersey. being from Wyoming I have grown to love that bucking horse. I would be terribly upset if my team had to drop it. hell it’s even on our upcoming state quarter. Some of those patches are pretty neat, but some seem like they’re a patch for the sake of being a patch. For instance, the (presumably) Brian Westbrook one in the upper left corner of the football patches just says “36 Eagles RB”… they couldn’t think of anything better? That sounds like one of the player names in a non-licensed video game. My guess is that the “S” in song is doubling as the “S” in the word Brian’s …. [quote comment=”61698″]First Dolphin Stadium, now Rangers Ballpark in Arlington? Not quite, Boise State is crossing to the dark side. OK, this is killing me! I was on eBay this morning and came across this pretty cool auction for an old Hutch helmet but I can’t remember the name of the Chiefs running back that wore this same style of facemask…Help me before my brain ‘asplodes! Angel Stadium in Anaheim has been that was for the last three seasons. After 2003, Southern California Edison bought out their own naming rights because of clauses in the contract that made the deal more lucrative for the Angels if they won the World Series, which they did in 02, and if they drew 3 million fans, which they did in 2003, and have subsequently done the last three years. So it is a trend that is becoming more and more popular. Long live the classic stadium names. I hope nobody is taking this helmet seriously for their collection….The eagle wings are painted on by what appears to be a 7 year old! Stay away Eagles collectors! Dear Paul, blade holders, at least where i come from, are called Tuuks…probably because that is the brand that makes most of them. I don’t know about anyone else wearing blue tuuks, but if you watch the minnesota-phoenix game on versus tonight, you will see that Marian Gaborik wears forest green tuuks, or blade holders. Personally, i wouldn’t mind seeing more team colors incorporated into skates in this fashion. Again, J-P, I have mentioned this many times on here and people are finally grasping how ridiculous this situation is. 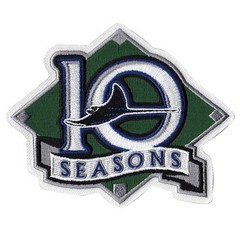 No other team that I can think of, has celebrated an AL, or NL pennant through a patch. As stated many times before.. what would happen if every team did this? The Yankees patches would overlap, especially if they celebrated 10 year, 15 year, 25 year anniversaries and so on. I am a lifelong Brewers fan, and I love the patch, but I don’t understand why they are celebrating their only AL Championship. Not that it isn’t an accomplishment, but I don’t understand why. Hey, it’s my 20th year of being an Indians fan, should I design a patch???? Phil, thank you. It was Ed Podolak. Found a good photo of him from the Chiefs day. helmet was handpainted by a friend of theirs around 1970–the seller also told me that he made sure he put that in there, but for 99 cents, he was hoping somebody that liked old Hutch helmets might like it. Tuuk is a brand of holder. Companies like T-Blade and Mission also make blade holders. Tuuk holders, however, are used by more hockey players than the other two combined. No, but you should probably consider counseling. Paul, excellent discussion about the patches, and nice info from the man himself, Todd Radom. I am interested to know if Todd designs 2 versions of a logo, one for a patch and one for other purposes. Since a patch can’t accurately show as much detail as a print or screen graphic, does he minimize some of the graphics specifically for the patch, while leaving other details in for other uses? Or does he design all artwork with possible patch applications in mind? The picture Paul posted of Maybin, the Tigers prospect, doesn’t he look like Bubba from the Forrest Gump movie? An interesting promotional giveaway with the San Francisco Giants on 4/20 vs. the Diamondbacks. First off I have a problem with it. The Giants are assuming that they will be losing late in the game which would warrant a rally cap. Second of all the “SF” logo is showing. When you flip a normal rally cap the logo is on the inside. Third the bill of the cap is too perfect. Lastly, you would have to supply your own dirt, sweat and wrinkles to the rally cap to be authentic. Tickets are still available for the giveaway. First 20,000. [quote comment=”61749″]An interesting promotional giveaway with the San Francisco Giants on 4/20 vs. the Diamondbacks. So if the Giants are behind late do they turn the rally hat inside out, therefore being right side out? Ahhh the Tribe. They got screwed over a few times in the mid 90’s. The Crew of course are my favorite team, but the Indians have always been #2 since as long as I can remember. Just keep having faith, that’s what I do. One day It will happen. Getting back to the patch… do people think other teams will follow in having anniversary patches of world series and AL/NL championships? Or will they realize it is silly and never have another team do it again? Does anyone know if this has been done before? Or are the Brewers the first to celebrate a League Championship? New ESPN column is up — look here. Toss me in that counseling session. My 20th year of being a Redskins fan, a Bullets/Wizards fan, and a Capitals fan. The Wiz are starting to get better, but watching the Caps and Skins is really bringing me down. Well, I’m off to design my patch. Later folks. It’s rough, but you asked for it!!! Regarding golfers wearing sunglasses, I seem to recall reading somewhere a few years ago that some company (or maybe companies) now make shades specifically for golf that enhance the ability to read the green. I’m good for 1 custom patch a day! haha I do have real work to do…I swear! Maybe a little nitpicking, but I’m going to assume that every reader in Quebec had a heart attack when they read in the ESPN column that Maurice Richard plays for Mich. St. basketball. The Spartan baller would be Maurice Joseph, assuming you are able to edit the column post-submission. Comment from an actual diabetic….me. Type II Diabetes can involve the entire range of treatment — from altering (i.e. improving) one’s diet to pills to all variations of taking insulin. Many Type II diabetics end up the same place as Type I — the pancreas shuts down and can no longer produce insulin. In other words, Type II is often just a longer process to get to where Type I diabetes (what I have) is, an insulin-dependent condition. Type II diabetes’s older name, adult-onset diabetes, was pretty descriptive. Unfortunately, it’s no longer accurate. Increasingly, it’s kids who are afflicted with Type II diabetes — thanks to McDonalds crap diets, lack of exercise, school athletic programs having their funding cut, etc. Long story short: David Wells might need a pump now or later, depedning on what exactly his diabetes entails. Tiger Woods, a millionaire many times over via his Nike contract, is only required to wear Nike stuff during PGA events. But he’s taken to wearing Oakley stuff in other events, like Dubai. Phil Hellmuth, the poker guy, has a signature Oakley model. It was made in a small batch size after he did a “poker clinic” for Oakley employees. Tons of guys on the BassMasters series are sponsored by sunglass manufacturers. Kevin VanDam is an Oakley sponsored “athlete.” Dean Rojas and many others are sponsored by Cocoons. And Costa del Mar glasses sponsor many teams on the ESPN Madfin Shark Series. like this guy. Oh, and Edgar Davids had surgery for his eye problem, but got permission from FIFA to keep wearing his signature glasses. oh, and don’t count on Maxsight to take over sunglasses for most people. Since a box of the lenses costs about $60 bucks and a good pair of glasses costs about $150. But the lenses wear out pretty quick (1-2 week wear per lens), and glasses don’t. [quote comment=”61763″]Maybe a little nitpicking, but I’m going to assume that every reader in Quebec had a heart attack when they read in the ESPN column that Maurice Richard plays for Mich. St. basketball. I had a heart attack myself when I saw that. Total brain-lock on my part. It’s now fixed. Bluffton University b-ball team will change their uniforms to all black and continue to play their season. article. Has this ever been done before? The entire uniform is a tribute? I like the gesture. So an idea for your patch popped in my head and I couldn’t let it slip away. Yes! Of course the logo should be upside down and backwards! I clicked the link before I read you entire post and that was the first thing I noticed. It’s not so much the bill is too perfect, but it too should be upside-down, and therefore concave upwards. (although I do realize that many will bend and shape the bill into even crazier configurations). And lastly–who in the world would wear this?!? I thought the idea of giveaways to allow sponsors to throw branded swag at people, but what good is it if the product is something nobody (in thier right mind) would do anything with except possible keep as a souvenier of the worst free giveaway gift they ever got? Good question indeed-99% of the time I create a one-size-fits-all solution. Creating a logo with solid architecture, a piece of art that can be reproduced seamlessly across all sorts of platforms, is critical. also being a diabetic, i just wanted to mention that its true that some type II’s will end up on insulin. i just wanted to correct that you don’t just eat your way into having diabetes, but being overweight can lead to it because your body can’t produce enough insulin for your needs. david wells certainly looks like he eats plenty, but thats not the only reason he’s got diabetes. i also wear a pump, but didn’t back when i was playing softball, i was pretty excited to see Jason Johnson wearing one! I played lax with a guy in high school and at UF who wore an insulin pump. You couldn’t see it under his jersey, but it couldn’t have been comfortable. Todd, thanks for the response. Good info there. I had always wondered if a logo was like that was similar to a “display” font, where letters are designed different for headline applications than for text purposes. It must present a bit of a challenge knowing that the logo might be used as a patch. Have you ever had to work backwards and make a logo “patch-compatible”? [quote comment=”61716″]Ryan Smyth is emulating his childhood idol, Wayne Gretzky. He wore blue blade holders when he played for the Oilers. Smyth was planning to wear those for one night only – Messier Night in Edmonton, but he was traded that day to the Islanders. With no time to change them, he wore them for his first Islander game. He wore conventional blade holders before and after (look around Capitals #44’s waist) that game . 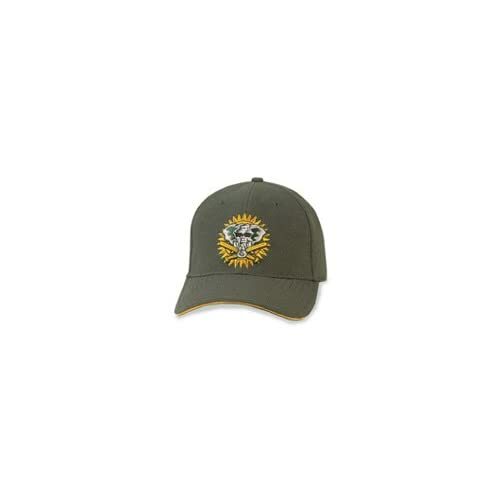 Paul, thanks for linking to the A’s fantastic old spring training cap. Being an NL guy, I was never aware of them. I managed to find some of ’em online and bought one. Spelling note: Believe it or don’t, Antero Niittymaki’s name has two consecutive ‘I’s. Also — and I neglected to mention this — Biron’s new pads arrived yesterday, but he’s going to break them in during practice before wearing them in a game. 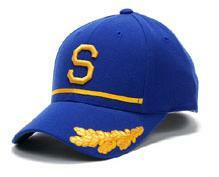 How about a “Seattle Pilots – 1 Year in the AL” patch? Complete with that great cap of theirs? personally I think they should put a 99 on one of their sleeves to remind them how long its been. and I’m a Cubs fan. Soon-to-be residential Liberty Towers? Check. Much as I like Pat’s Steaks, I was hoping for a shot of DisneyHole on there. So, both patches are solid. Can I get a shirt with my Indians design, or would Bud Selig come after you with a Louisville Slugger, or an injunction? And I’d always wondered why Edgar Davids wore the specs. Methinks my Spurs were unwise to sell him off. With the US Men’s National Team Soccer Camp underway in Florida as the team prepares for Ecuador and Guatemala, it was announced today that the boys will wear a new Third Alternate Jersey for the games. The jersey is said to be “royal blue and white pinstriped.” The current jerseys are the white home and the away blue. One little quip…sort of nitpicking…but calling ski goggles ‘sunglasses’ is a bit of a stretch in my opinion, as a skier and boarder. They’re used more for protecting from the wind at high speeds and blowing snow than sun protection, although the different shades of goggle is based on how much glare is reflected off the snow. Hence the use of replaceable lenses, that can be changed when skiing day vs night, clear vs cloudy, even fresh powder vs groomed hardpack. Some are even clear, which emphasizes the effect of preventing wind and snow in the eyes. Yellow tints are good for night and day, during the day cutting down on snow glare but still allowing enough light in for night runs. Dark tints are perfect for bright clear days. Also, Oakley became a popular goggle business long before it became a sunglass company. If theyÃ¢â‚¬â„¢re going to criticize, can they at least get their facts straight? Yes, the wool caps are being replaced but the new polyester game caps look exactly the same. These just replace the old BP caps, which most people probably didnÃ¢â‚¬â„¢t even know existed. And if they want to get really technical, the old BP caps were 100% polyester and these are 62% polyester and 38% wool. I like the gesture as well, I just hope the uniforms are well done and look like uniforms instead of just simple screen printed jerseys. I am a color guy for radio in a team that is in Bluffton’s conference, the Heartland Collegiate Athletic Conference, and it will be a very emotional day when those kids take the field again. In addition to the uniforms, teams in the HCAC are flying their US flags at half mast for the remainder of the season and wearing purple armbands in rememberance of those that lost their lives, but I think this was mentioned before. Hell, you guys ain’t got nuthin’ on me! I’ve been a Saints and Cubs fan all my life. Yes, I know, I’m a glutton for punishment. It’s a miracle I haven’t tried to kill myself yet. Joe, if I may ask, what program do you use to create those type of graphics? I’m watching the 1982 World Series game one, and Joe Gargiola is talking about how George Hendricks wheres his pants down. The were low, but you could see the stirrups. Get uniforms in the game. As a Boston Bruins fan, as well as a traditionalist, I strongly protest Tim Thomas wearing all black socks instead of the B’s normal striped black, white and gold socks. This has been the case the last couple of games, as he didn’t do it here on March 1st while wearing the dark jersey and gold socks. I posted a similar thing late last night, wondering what it was for. Then I got to thinking…it’s probably used as a compression sleeve to reduce the swelling around his elbow when he throws, since he had Tommy John. I haven’t heard of other post-TJ surgery pitchers using the sleeve but if he’s having complications it’s a logical explanation. Marcus Landry of the Wisc. Badgers also wore protective glasses all year, but I’m not sure why. The Yankees jersey would look like Shaq’s All-Star Game warm-up jacket. Disagree totally. He wasn’t breaking into the squad. Steed Malbranque is a very good player for now. And if we want Arjen Robben in the summer (still dreaming, lol), we need to make sales like this to keep our transfer balance sheet as nearly even as it’s been in recent years (the current squad was built on about 2-4 million quid, if those crappy football blogs are to be believed).. Interesting uniform note, Dimitar Berbatov has been wearing an armband (You can sort of see it, he’s the tall guy who looks like he hasn’t washed his hair in weeks) on his right arm. It’s for the Benzhagi six, a group of five Bulgarian nurses and a Palestinian medic being wrongfully held in Libya where they were workign for supposedly injecting 400 children with HIV. It reads YOU ARE NOT ALONE, which is apparently a national campaign in Bulgaria… More info here. For real though, with their marketing vp as their interm? president, I wonder how they handle it. Re: that US jersey, Pinstripe shirts can look good in soccer, so I’m optimistic. I’m a lifelong Saints fan (raised in NOLA) and the Cubs are my MLB team (family ties to Chicago), but I don’t need counseling, in fact I’m considering getting a fleur de lis tattoo. Just think…atleast the Saints don’t blame their problems on a goat. Yeah, but we blame it on plenty of other things. For instance, the Superdome is built on an old graveyard from the days of French settlement. The franchise has done alot to try and fix this curse. I’ve been at a game that had a voodoo priestess exorcise the demons. And then a few years later I think they brought in a Catholic Priest to bless the dome and “cleanse” it of the unholy spirits. Not to mention the who was brought in after the storm to “sanctify” the place again. Jason, Here is a link to your Indians shirt request…hurry up though because I’m sure they’ll pull that design down quickly! Jon in SLC , I use Adobe Illustrator and Photoshop…on a Mac! The face mask in question is an Hutch’s imitation of a Adams mask, similar to the one Earl Campbell wore at Texas. It is not the same as Ed Podolak’s mask which is a Dunguard. That guy has tons of jerseys and shirts that are modeled by girls. What a genius!